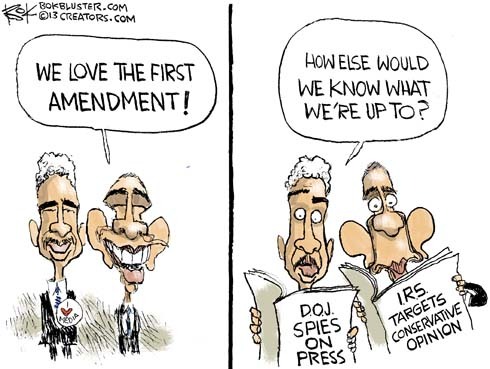 President Obama has proclaimed himself a fierce defender of the First Amendment . On cue, Eric Holderman called for a meeting of news honchos to clear the air about his secretive and nasty behavior toward them. True to form, the meeting was off the record. Strange behavior for a couple of guys who only know what they read. Fierce defender? Bullshitter. More like fierce offender!! !